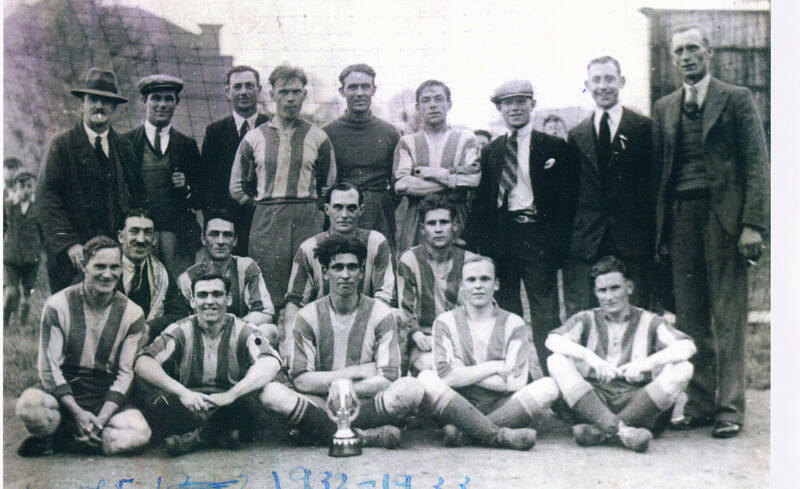 The Dover United Reserves team that beat Chartham Mental Hospital 3-2 at Ramsgate in the Kent Benevolent Cup on the evening of 6th.May, 1933. Many of these players had featured in the first team! Back row (left to right): W.Newman, J.Silk, F.Hopper(Hon.Secretary), C.Coleman, C.Prescott, A.Burville, A.Gosling, C.Hopper(Asst.Hon.Secretary), G.Norley. Middle row: Mr.Williamson, C.Gillman, Eddie Couzens, W.Collins. Front row: H.Standen, Davies, A.Bunn, G.Maidstone, F.Profitt.